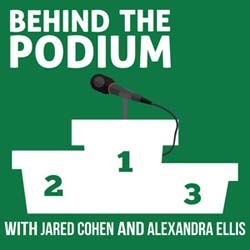 Today, Jared and Alex go behind the podium with Dr. C. Shante Cofield, PT, DPT, OCS, CSCS, CF-L1, a coach, doctor of physical therapy, soccer player, basketball player, lacrosse player, CrossFitter, rock climber, teacher, movement specialist, insatiable learner, and lover of POKE bowls. Dr. Cofield may be best known as The Movement Maestro on Instagram and she truly is a maestro of her craft—as a clinician, she analyzes the way you move in order to determine the source of your pain in order to treat the problem NOT just the symptoms. When not working with clients one on one, our guest can also be found teaching courses for Rock Tape. How more is not better, better is better. Wonderful discussion – I appreciate the attitude, authenticity & skill you all advocate as facilitators of movement! Refreshing.